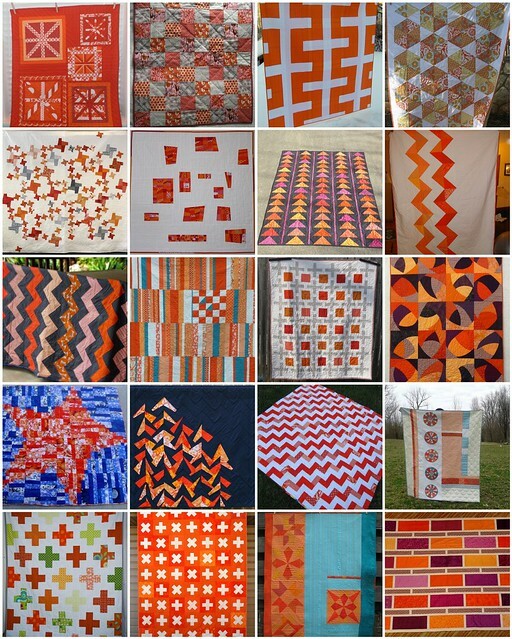 The Tangerine Tango Quilt Challenge ends tomorrow at midnight. I'm glad that I'm not judging because there are some AMAZING entries so far. And these are just in the quilt category! There are 19 adorable minis too. i love the one in the right column middle row! Tangerine en masse is a beautiful thing! Good luck to everyone!